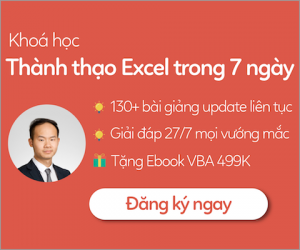 email Microsoft Press Book Support at mspinput@microsoft.com. Please tell us what you think of this book at http://www. Microsoft and the trademarks listed at http://www.microsoft.com/about/legal/en/us/IntellectualProperty/Trademarks/EN-US. aspx are trademarks of the Microsoft group of companies. All other marks are property of their respective owners. place, or event is intended or should be inferred. will be held liable for any damages caused or alleged to be caused either directly or indirectly by this book. for reasons known only to her. computer and live your life. instructions and a list of system requirements. that doesn’t mean the information is scattered wildly about. simplest to the more complex. items such as email messages, contacts, and appointments. earlier, Section 2 gives you a good idea of what’s new. manage, filter, and follow up on messages. without leaving the Calendar folder. other items with tasks, and mark tasks as complete. mobile device for calendar events, messages, and voice mail. Outlook that help you see when others are online. still letting you hang on to important messages. learn to create new data files, import and export items in Outlook, and back up and restore your Outlook data file. files, a printer, and so on. I also assumed that you have an Internet connection. procedures and graphics throughout this book. action any time I instruct you to click a user interface element. set up and your personal preferences. that you didn’t know you wanted to do. brings all of your contacts together in one place. impact. So, let’s dig in! 2: What’s new in Outlook 2013? read or unread, flag messages, and delete them. 2 Hover the pointer on the left edge of a message. working with Notes have been removed. 3 Click to mark the message as read (or unread). 4 Click to flag the message for follow up. 5 Click to delete the message. you can pop out the message and edit in its own window. 2 Click a message to select it. 3 In the reading pane, click Reply. edits, just click the Discard button. 7 Finish editing the message and click Send. 1 Click the Mail link to open the Inbox. 2 Hover the pointer on the Calendar link. 3 Click a date to view a day other than the current day. 4 Preview the calendar items for the selected day. 5 Double-click an item to open it for viewing or editing. side of the month in the preview to choose a different month. list of the contacts in your Favorites. 2 In the People pane, select a contact. 3 View the contact information in the Contact card. 4 In the Folder pane, click the Connect To A Social Network link.